Much more than a simple Seated version of the FlexScoot, the FlexSeat is a new concept of mobility : the Flexible Mobility ! 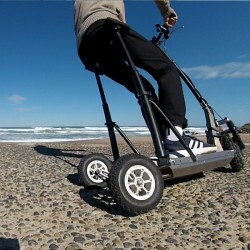 More confortable, safe and convenient but still Fun to ride. FlexSeat : Seated Scooter There are 2 products.